“Everything is awesome! 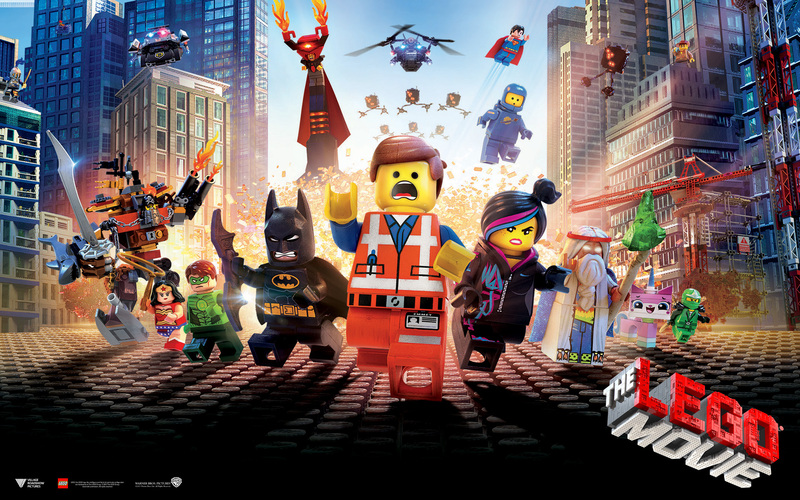 Everything is cool when you’re part of a team!” The Lego Movie is indeed EXTREMELY awesome. It really could have gone either way, but I can safely say this is an excellent movie and most definitely is not The Adventures of Clutch Powers. It’s been a long time since I went to see a U-rated film at the cinema, but this was a real surprise. Touching, hilarious, surprisingly dramatic, tense and also amazingly animated. This is my review of The Lego Movie. The Lego Movie revolves around Emmet (Chris Pratt), an ordinary construction worker who stumbles upon the only thing that can save the world, The Piece of Resistance. The world he lives in is a structured, consumerist city run by Lord President Business (Will Ferrell). Emmet watches the most popular TV shows (Honey, Where are my Pants? ), buys overpriced coffee and listens to popular music like the annoyingly catchy ear-worm that is Everything is Awesome. He soon finds this mysterious piece and learns that there are worlds beyond his own. He also learns that according to an ancient prophecy, he is the Special – the only person capable of stopping the plot to end the world. Along the way he his helped by a group of eccentric allies. My favourites of these being Batman (Will Arnett). I didn’t think before going into this that I would hear a death metal song sung entirely by Batman (“Batman is an artist“). Other allies include the blind wizard Vitruvius voiced by Morgan Freeman, the only man who possibly could voice this sage-like character. Elizabeth Banks does a great job voicing Wyldstyle, the person who discovers Emmet, but learns only too late that he is not who they thought he was. Other awesome allies are the adorable Unikitty (Alison Brie), Metal Beard the pirate (Nick Offerman) and Benny, 1980’s Lego Spaceman voiced by Charlie Day. This is also the best thing so far to include Wonder Woman, Batman, Superman and Green Lantern in the same scene. Superman (Channing Tatum) has some truly priceless scenes with the pathetic Green Lantern, who is voiced perfectly by Jonah Hill. Facing off against Emmet and his team of Master Builders is President Business and his lieutenant, Bad Cop (Liam Neeson). Bad Cop is a brilliant character. With his two faces he can be both bad cop AND good cop. Without giving two much away there is a scene with his Mum and Dad (named Ma Cop and Pa Cop) and it might be the saddest thing you’ve ever witnessed happen in Lego. this is a real Lego film. The characters are all interesting, and there are some great cameos for fans of Lego. The comedy is perfect. Some jokes are funny for adults and kids alike, although some will most likely go over the heads of kids. It has a similar off the wall, often surreal, rapid fire approach to jokes as Adventure Time. I don’t think I ever laughed at a movie in the cinema as much as I did with The Lego Movie. Also the movie has a surprisingly heartfelt message. At it’s core the movie examines the departure from being a child and making random things with Lego, to becoming an adult and building things to the exact specifications. I know that was defiantly me. The message might be a little soppy for some, but it’s not too bad. It’s sweet and it has heart to spare. The film doesn’t just appeal to us Lego fans, it is for everyone. Perhaps some of the jokes might not be as funny to non-Lego fans, but it shouldn’t dampen the experience too much. One thing to keep in mind is that this movie might be rated U, but it might not be for everyone. It has plenty of bright colours and entertaining action to keep small children entertained, but the humour might not appeal to them. There were plenty of kids in our showing and they seemed happy enough, just sometimes it was only the older people laughing. Contrary to what you might expect, The Lego Movie is not a huge advertisement, or at least it doesn’t feel like it. If it is a giant advert in disguise, then kudos to the Lego company for hiding it behind an excellent movie. With that in mind, I did go straight to the Lego shop and buy something. At the end of the day, it doesn’t matter. No doubt Lego will get a huge boost from this film, but you can tell that the directors care so much about what they’re making. This movie is a love letter to the tiny interlocking blocks. It’s just a happy movie; I came out of it feeling great. It shows that good kids movies with heart can still be made, and not by the money grabbing giant that is Disney. Take that Frozen!